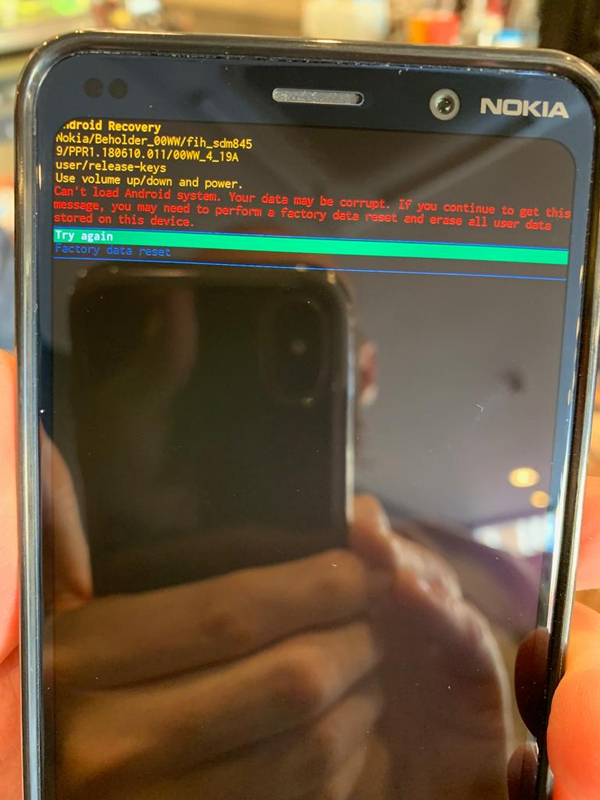 Yesterday my Nokia 9 kept failing to unlock. If I pressed the power button to unlock my device, it would automatically lock again. Yesterday my Nokia 9 kept failing to unlock. If I pressed the power button to unlock my device, it would automatically lock again. I thought it was the cover pressing on the button so removed it. Same thing happened. The phone would then shut down and restart in Android recovery mode. This happened constantly yesterday. I managed to boot the phone up and have removed Face Unlock. Has anyone else had problems like this? Also, 'My Phone' support is a joke. Yes, had exactly the same problem although I didn't connect it to "face unlock", I ended up resetting and restoring and so far no more issues. I had something similar to this except the screen would just turn on and off (probably the lock screen crashing). Turning off the face unlock seems to have fixed it. Yep, had it happen to me also. Did a reboot, then removed face unlock. No problems since. My phone went into a bootloop yesterday, I could occasionally get it to start for a brief period, before it crashed again. During this time it was unable to connect to any kind of network (BT, Wi-Fi, mobile, etc) I do not have face unlock setup on my phone.